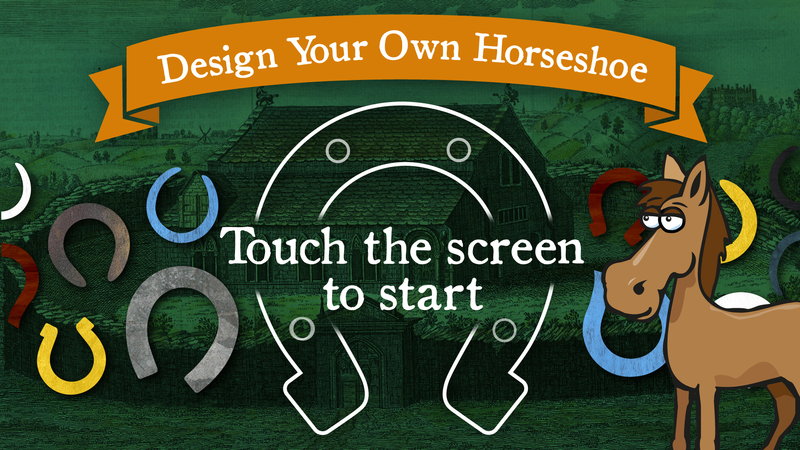 A digital interactive and "Design your own horseshoe" game exhibit interpret Oakham Castle's history and its unique collection of horseshoes traditionally donated by visiting dignitaries. 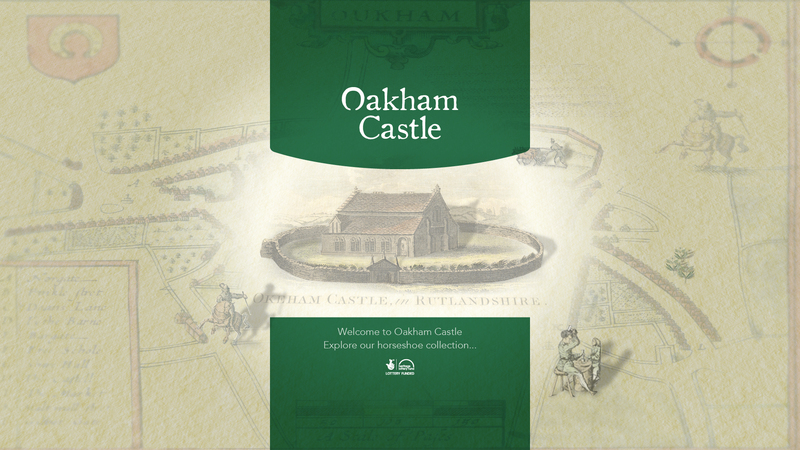 Rutland County Council received £2.2 million funding from the Heritage Lottery Fund to carry out extensive restoration work to restore the Great Hall and Castle Walls of Oakham Castle and to improve access to the site. The castle is one of the finest examples of late 12th century domestic architecture in England. 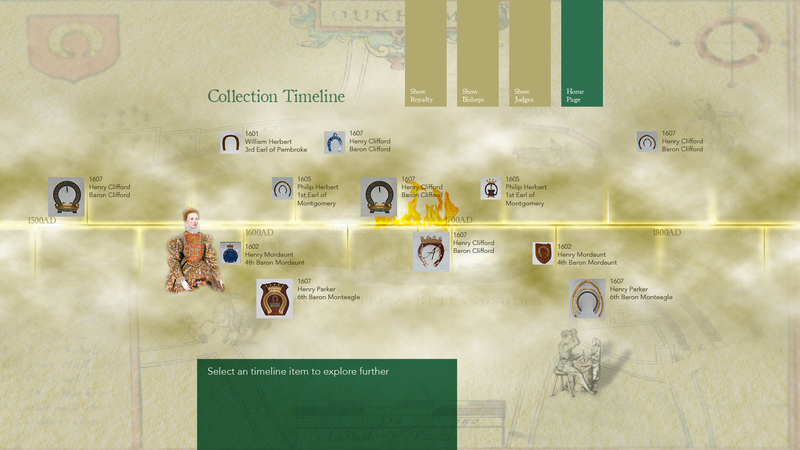 Working as part of a team led by interpretive design consultancy, PLB, we have been involved with creating two digital interactive exhibits that allow visitors to take a closer look at these historic items. 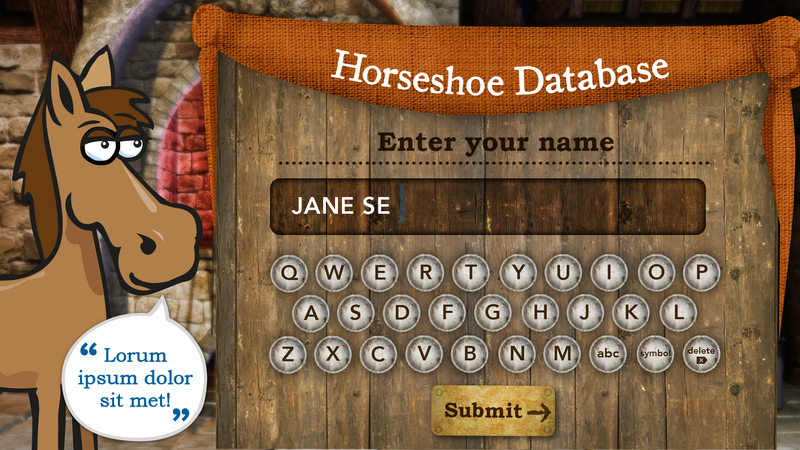 We created a mobile website, designed to work on and off-site, that makes extensive use of interaction with client content creates a media rich experience. 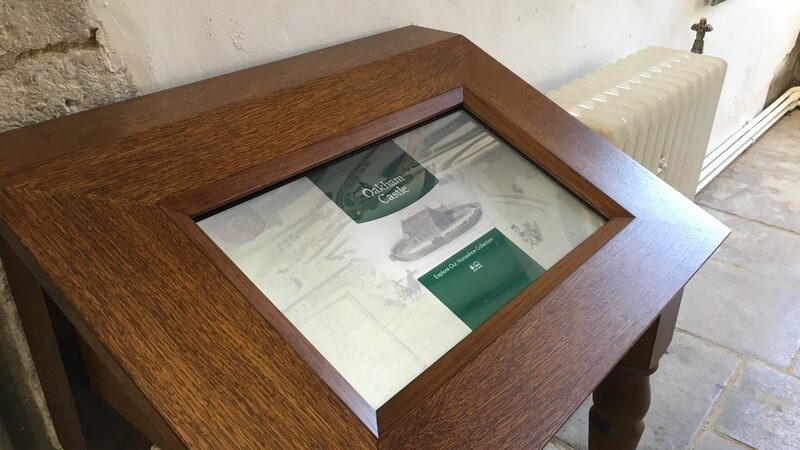 Whilst currently the exhibits are installed permanently to site, our use of software design gives opportunities in the future to introduce the use of tablets or use them on a ‘bring your own device’ basis. 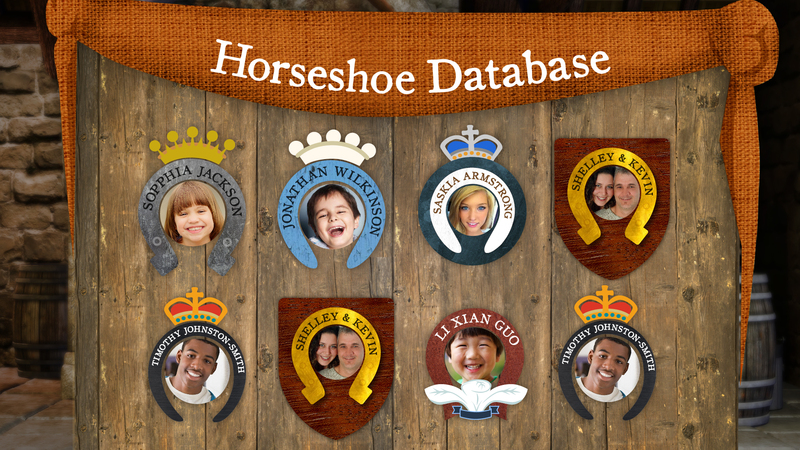 The interactive exhibit includes highlights of the horseshoe collection that can be explored through a database, a timeline of the horseshoes’ history, as well as a pairs game that allows visitors to learn more about the different designs and styles of horseshoe and how they relate to the various people who gave them as gifts. 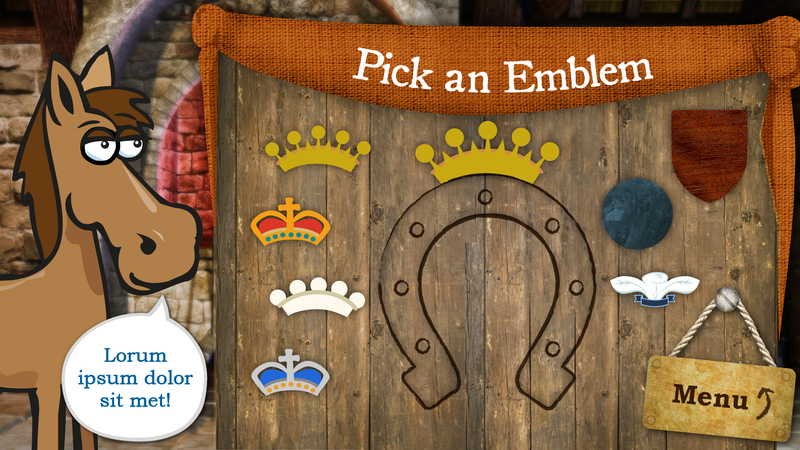 The styles, themes and colours of the different horseshoes have different meanings. 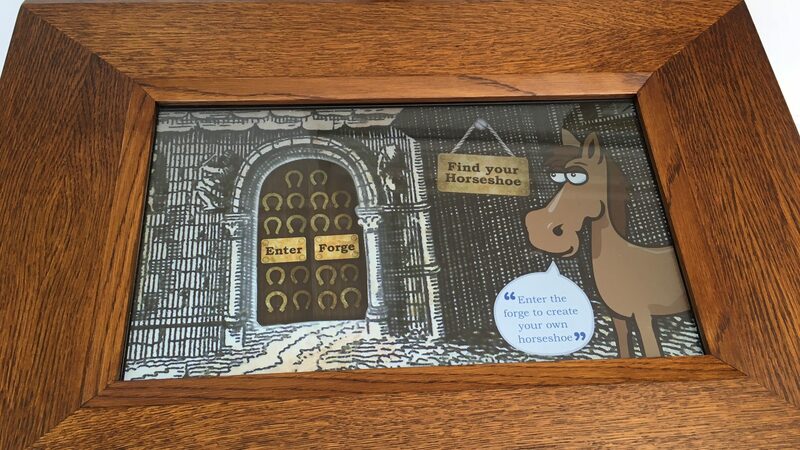 This interactive gives visitors the chance to design their own personalised horseshoe, choosing from a range of different elements, using gamification to reinforce their newly-gained knowledge of the horseshoes’ history and significance. 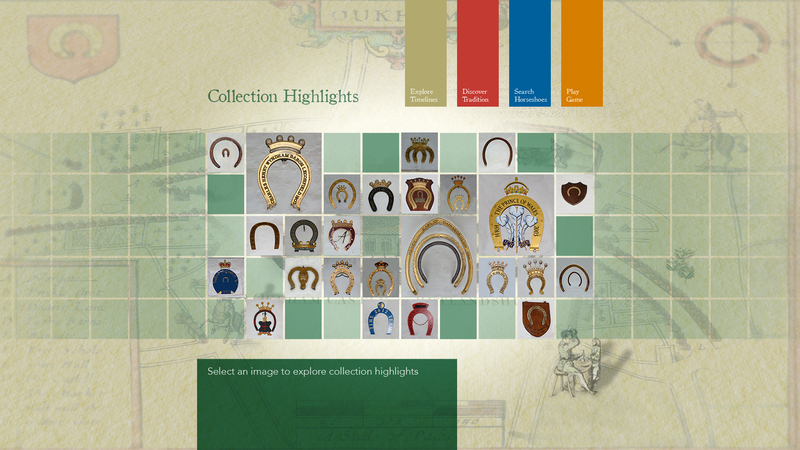 The completed horseshoes can be published to Oakham Castle’s Facebook page encouraging further engagement with the experience, driving traffic to the page, and reinforcing the Oakham Castle brand on social media.